You've probably heard that you should avoid taking blood thinners before surgery. This includes medications, supplements, and foods. Blood thinners can cause bleeding during and after surgery. 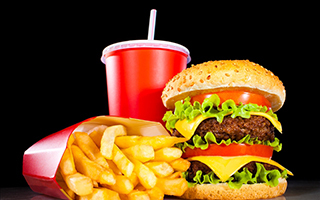 But there's something else you should be avoiding as well — high-fat meals. In fact, doing so could help you recover significantly faster. We're seeing that low-fat meals eaten a few days before surgery can affect how fat tissues respond to trauma. And less trauma means a faster recovery after surgery. It won't surprise you to hear that a large percentage of your body is made up of fat tissue. And this fat tissue undergoes a lot of trauma during surgery since doctors have to cut through it to access the parts of your body that need repair. According to researchers at Brigham and Women's Hospital (BWH), traumatizing fat tissue in this way affects its chemical balance, which in turn affects the messages our bodies send throughout its systems. Fortunately, according to a study published in the April 2013 issue of Surgery by C. Keith Ozaki, MD, of BWH, there's a way to keep those chemicals from getting so imbalanced. And keeping that from happening can greatly improve recovery. Ozaki explains, "Surgeons have learned that generally minimizing trauma accelerates patient recovery from surgery. While we do this well for specific organs such as the heart, blood vessels, liver, and so forth, we historically have paid little attention to the fat that we cut through to expose these organs. Our findings challenge us all to learn more about how fat responds to trauma, what factors impact this response, and how fat's response is linked to the outcome of individual patients." In order to see if the traumatic effects on fat could be minimized, Ozaki and his team looked in a logical place: fat in the diet. They gave one group of mice a high-fat diet (60% of calories came from fat) and gave a control group a 10%-fat diet. Then, three weeks before surgery, the researchers switched some of the high-fat mice to the control group's diet. During surgery, the researchers observed the trauma to fat tissue, which affected both the surgery site and other areas throughout the body. They saw an increase in inflammation and a decrease in the specialized fat-hormone system. But the mice that had their diet switched to a low-fat diet fared much better. This suggests that reducing fat intake can dramatically change the traumatic effects of surgery on the body. Now researchers can move on to studying the effects of restricted diet in humans prior to surgery. It's possible that this strategy could reduce the likelihood of complications brought on by inflammation or other stressors. The solution may be as simple as cutting out certain parts of your diet prior to surgery, and it could have a great impact on reducing risks. Ozaki concludes, "The relationship between surgical outcomes and obesity has always been complex. Our results and those of others highlight that the quality of your fat tissues appears to be important, along with the total amount of body fat, when it comes to the body's response to an operation." If you must have surgery, it would be worth your while to eat a low-fat diet for the three weeks or more prior to surgery. It could greatly enhance the results of the surgery and your recovery.